Snail Measuring Tape. Funny design for a tape measure, you can have at home or at work to your needs. Surely these tapes spiral shaped you raise a slight smile or face leave you surprised. 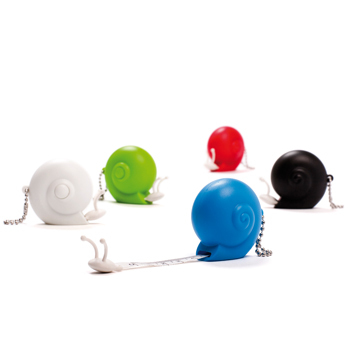 Generally, we know that the snails are not fast, but these snails are very accurate.